Details have been leaked of the latest gaming laptop from Alienware, the Alienware M17X Gaming Laptop which wasn’t scheduled to be released for another four days. 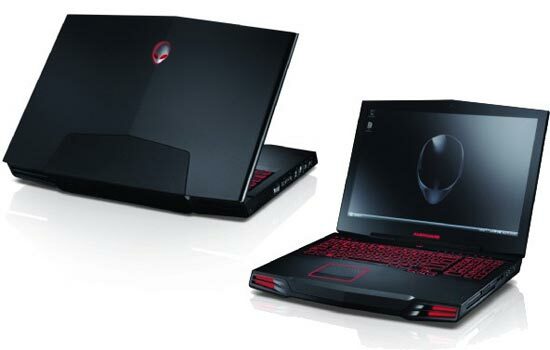 From the specifications, the Alienware M17X Gaming Laptop certainly looks like it is going to be a serious piece of kit, with dual 1GB NVIDIA GeForce GTX 280M GPU’s and a Intel Core 2 Extreme quad-core processor. On top of that the Alienware M17X will come with up to 8GB of 1333MHz DDR3 RAM, and the choice of either a 1TB 7200-rpm HDD or a 512GB DDD, as well as a nine cell battery, firewire, 4 USB 2.0 ports, eSATA, 802.11n WiFi and an 8-in-1 card reader. The Alienware M17X also features an GeForce 9400M G1 GPU which can be used instead of the dual NVIDIA GeForce GTX 280M GPU’s when you want to save on battery usage. The Alienware M17X Gaming Laptop will go on sale shortly, with prices starting at $1,799. Nice post. It is always good to see people expressing themselves in different ways. Since you seem to be associated with Management, I would like to suggest you a new magazine - PEOPLE MATTERS started by an ISB Alumni, which was suggested to me by a friend and which I have found very useful. It deals with various important aspects of management, especially those related to Leadership & People Management, which the mainstream business publications often ignore. It's also relatively cheap. I guess its annual subscription is about Rs. 400 (US$ 8 approx) which is even less than the cost of a standard Pizza. Their last issue had an enlightening article by Robert Kaplan (the co-founder of Balanced Scorecard method, if you remember) where he talks about how organisations can create opportunities out of current economic downturn. If you like the magazine, kindly refer it to your friends or colleagues in the organization you work. They may be interested in subscribing to it.